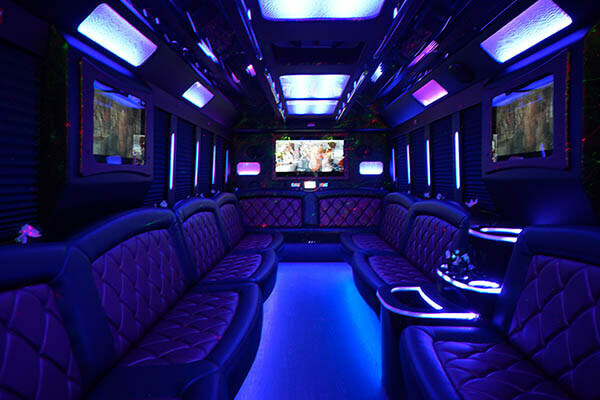 Our 10 passenger limo van is a vehicle updated with all sorts of amenities. 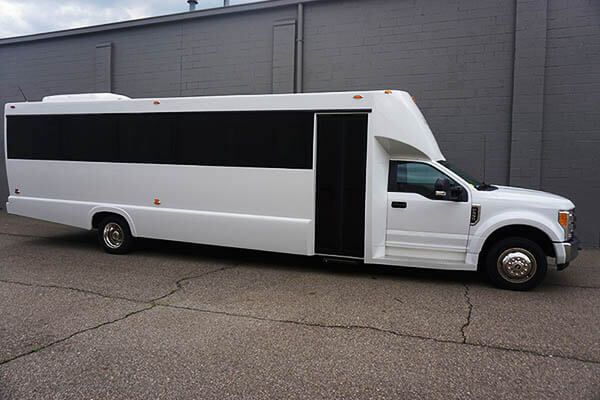 This limo van is great for smaller groups who want to ride in style! 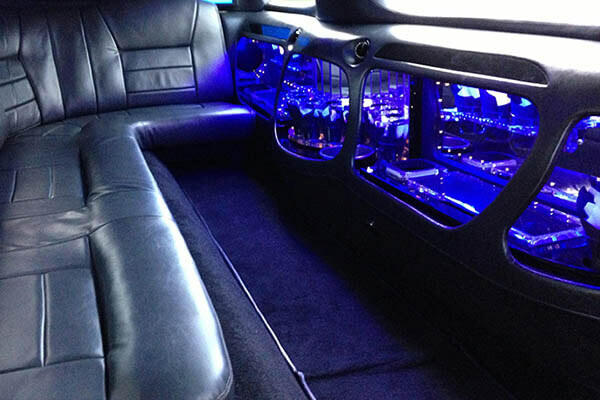 Sitting comfortably on the luxurious leather seating while your favorite jams play on the iPod capable stereo system. 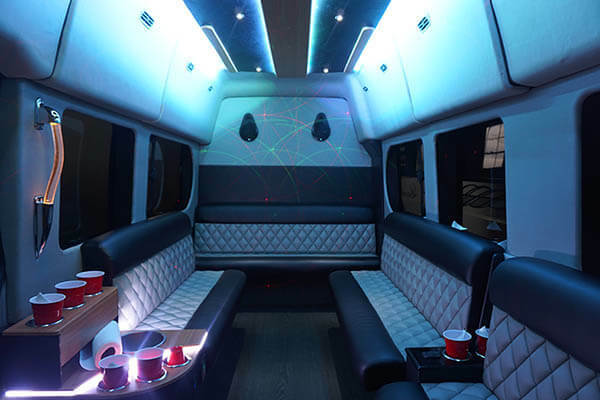 There’s no better way to enjoy a night out on the town than with this 10 passenger limousine van! 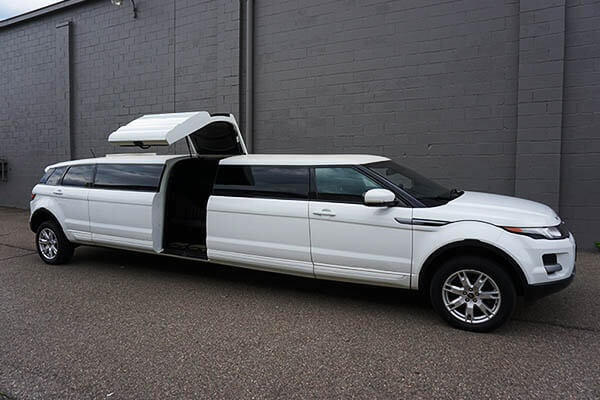 This 12 passenger Range Rover is a deluxe vehicle with plenty to keep you entertained. 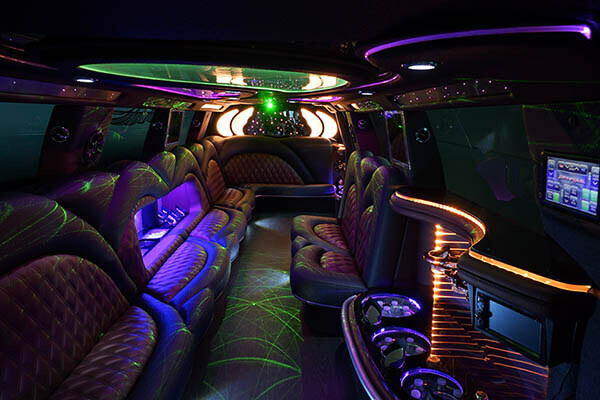 This vehicle is a totally extravagant limousine! 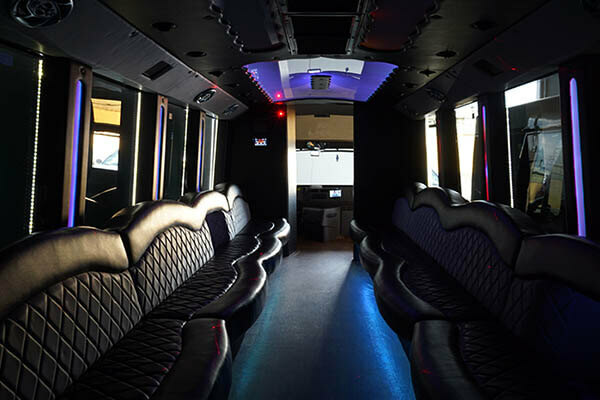 The interior is comfortable for a small group and fitted with limo style wraparound seating. 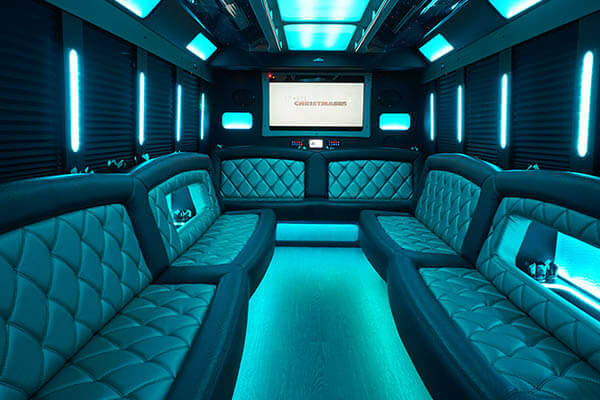 Disco floor and ceiling lights, built-in cooler, TV, and much more! 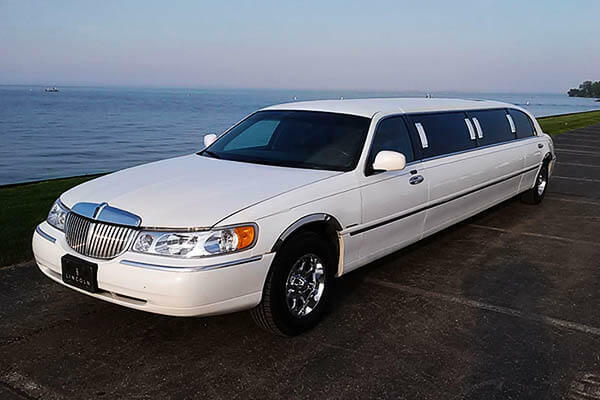 Our classic stretch Lincoln Town Car limousine, is perfect for groups of up to 10 passengers. 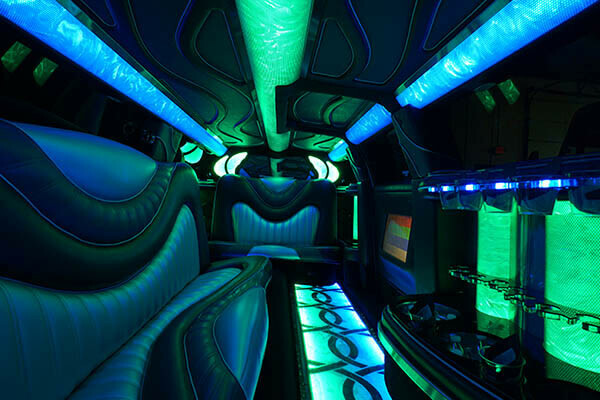 This limousine has a completely customized interior as well as an incredible sound system that keeps the party going all though the night. 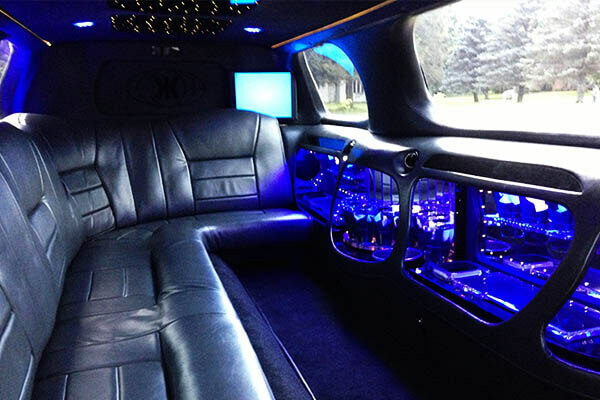 Keep this 20 passenger Escalade limo in mind when you’re looking for the best luxury transportation for a small group. 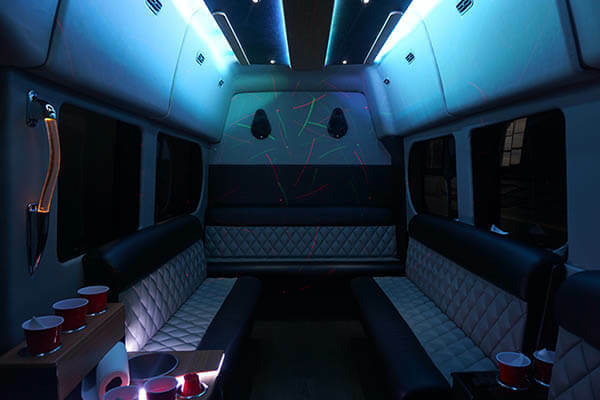 Tailgate like never before at your next sporting event, secure a safe mode of transportation for your night of club hopping, or start the party early for your next concert experience. Strobe, laser, and disco lighting set the mood for fun! 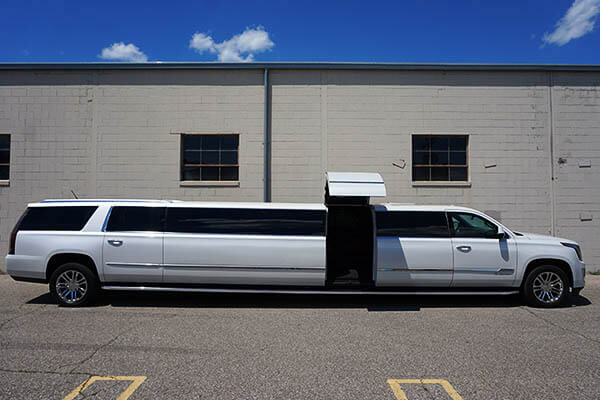 Anything can be made better with this stretch SUV limo! 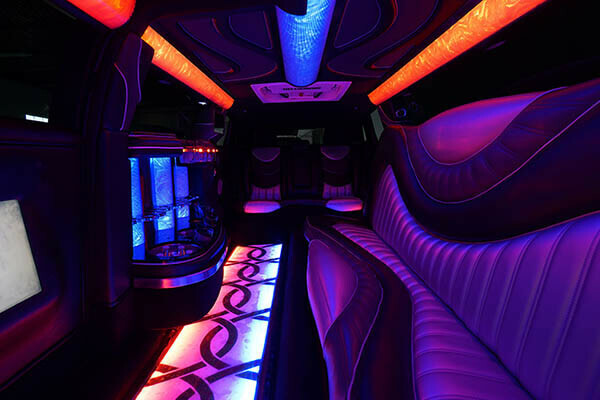 You’re guaranteed to enjoy the amazing lighting and comfortable interiors. 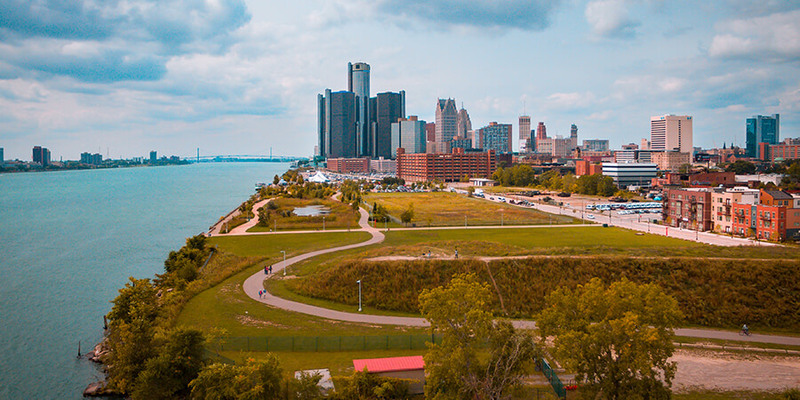 This 28 passenger bus is filled with features to make your experience in Detroit one you’ll surely remember for years to come. 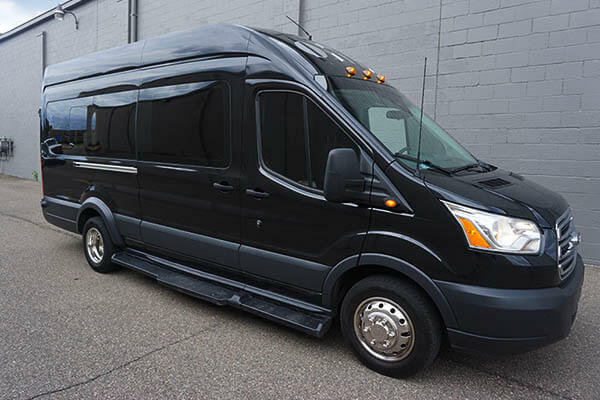 This is a smaller bus which makes it a more affordable option, but you certainly aren’t sacrificing fun for affordability. 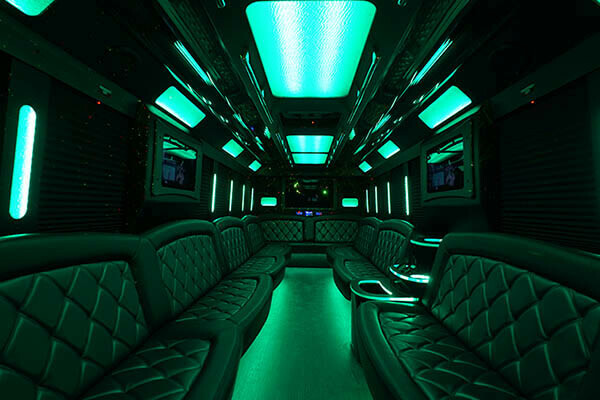 Let the interior sweep you into party mode as you celebrate with all of your friends! 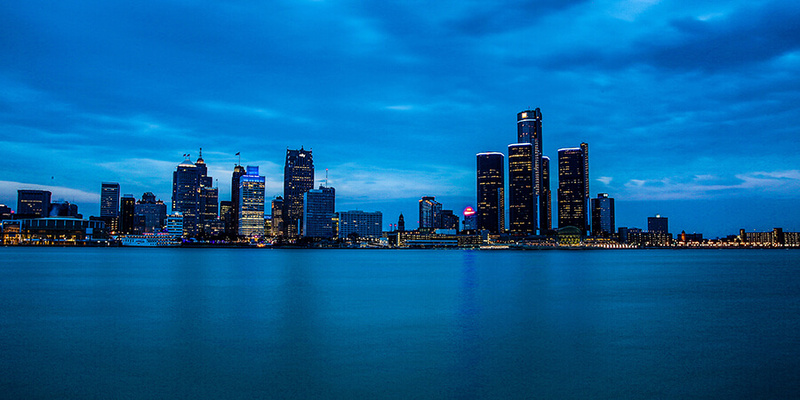 Let our 30 passenger bus make your experience in Detroit a positive one! 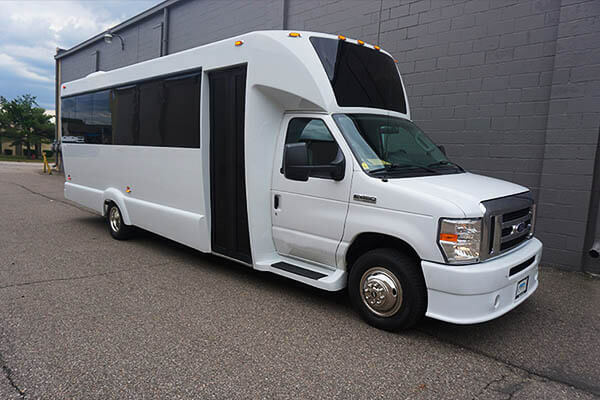 Not only is this bus attractive and updated with features, but it’s also an economical option for those who don’t want to spend a ton of money on transportation. 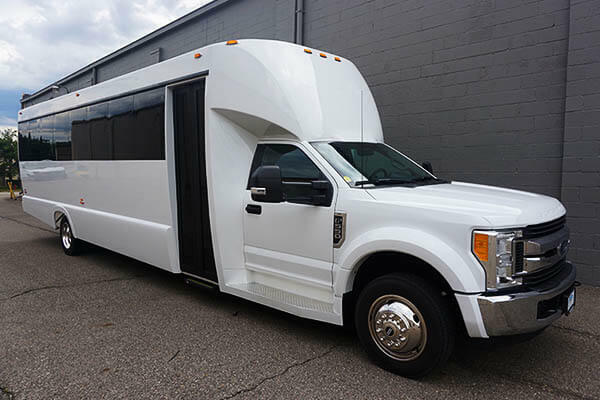 When you split the cost between passengers, this beauty is certainly affordable. 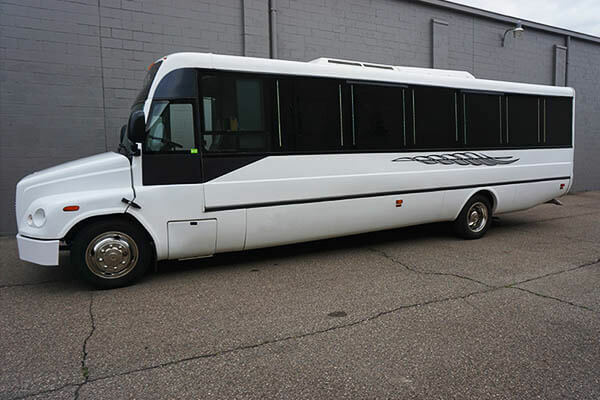 Be sure to consider this bus with its HD televisions, MP3 capable stereo, and more! 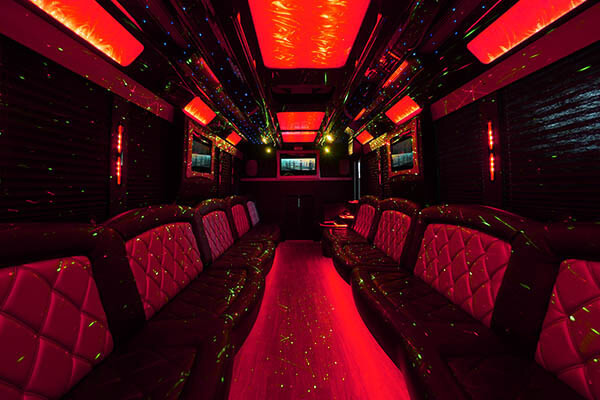 Our 34 passenger bus is an updated masterpiece! 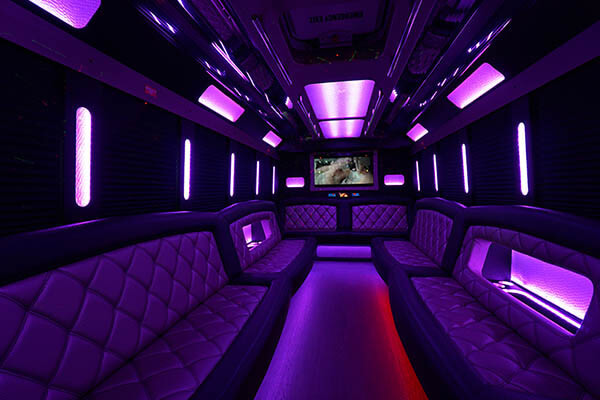 There’s nothing better than a vehicle that was made for a party. 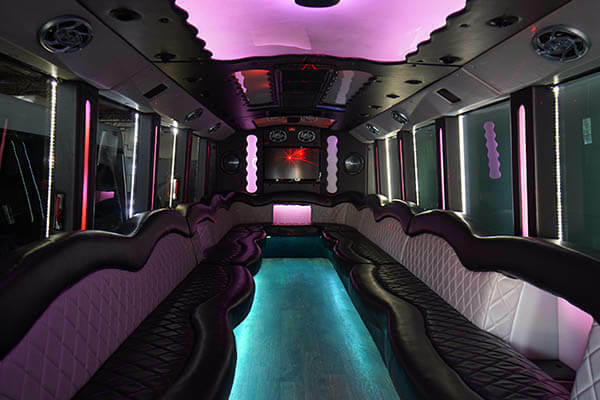 This fantastic addition has features that will surely have you and your friends impressed throughout the night! 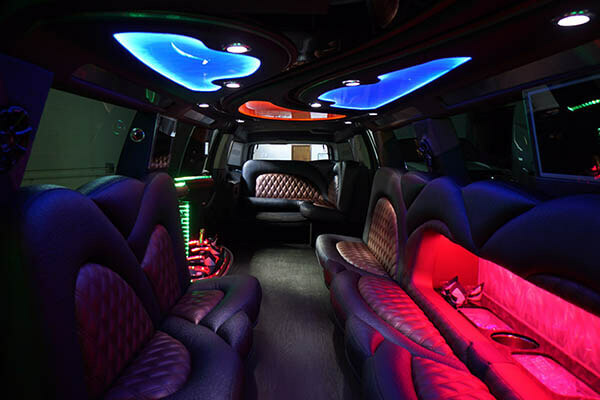 The best part is, you won’t have to deal with finding a designated driver or navigating through bad traffic with this rental! 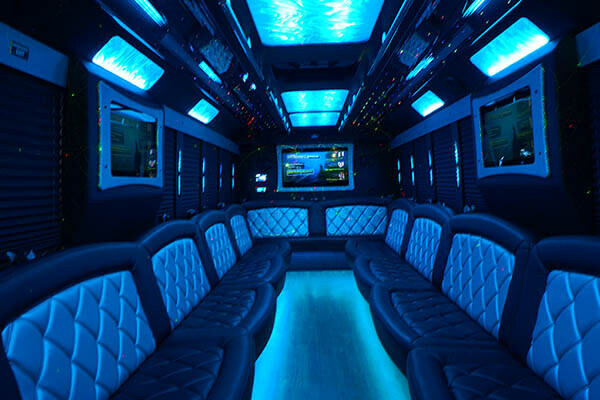 This 35 passenger bus can turn any regular night into a full blown celebration. It’s hard not to have a great time with all of the party features you’ll need at your fingertips. 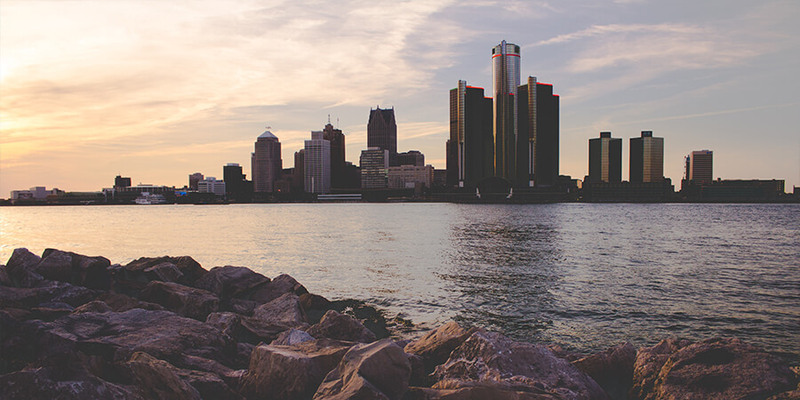 We’ll show up to your pickup destination on time with a smile, ready to take you wherever you may need to go. You’ll certainly want to check out all the features that come with this beauty!